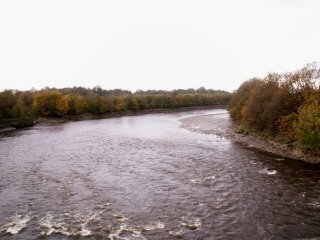 Thanks to everyone who sends in their comments, pictures and stories, more of which are here... the photos were taken over a short few weeks this Autumn, showing the Ribble in all her glorious variety! And we heard a very interesting story the other day about a popular local past-time in the 1920s or 30s of people jumping in the Ribble in their swimming costumes at the Docks on the out-going tide, and swimming to Lytham! 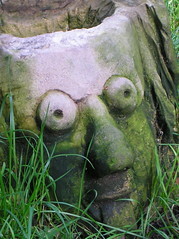 If anyone has any stories about this or any other Tales from the Riverbank, we'd love to hear from you! 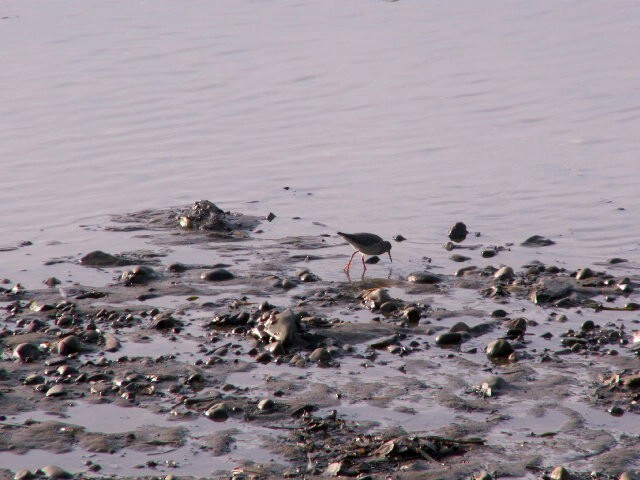 Redshank have returned to the mudflats in Broadgate and Penwortham - as have Teal, Shelduck, and Knot, amongst a number of other over-wintering species. JB. "We have lived by the river for 17 years now. 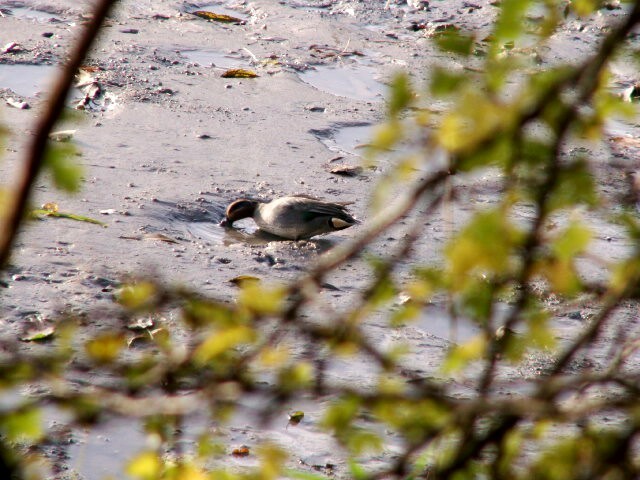 We and all our neighbours love it here, largely due to the wildlife, smells of the river, the beautiful views from our living room windows and changing seasons. Not many people have such a peaceful setting less than a mile from the town centre. We have also been lucky enough to acquire an allotment at Penwortham, but all this is going to be taken away from us. 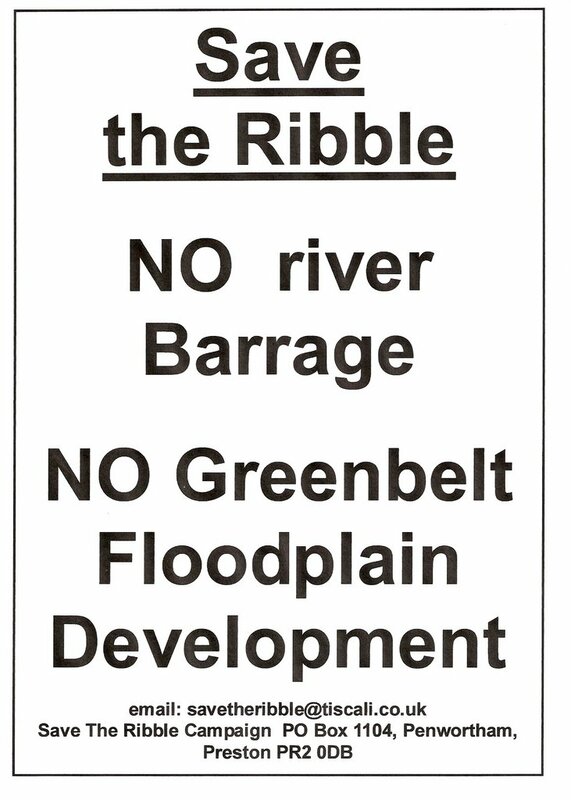 The Council want to turn the river into a canal and they want to build on all the green belt of the River Ribble. 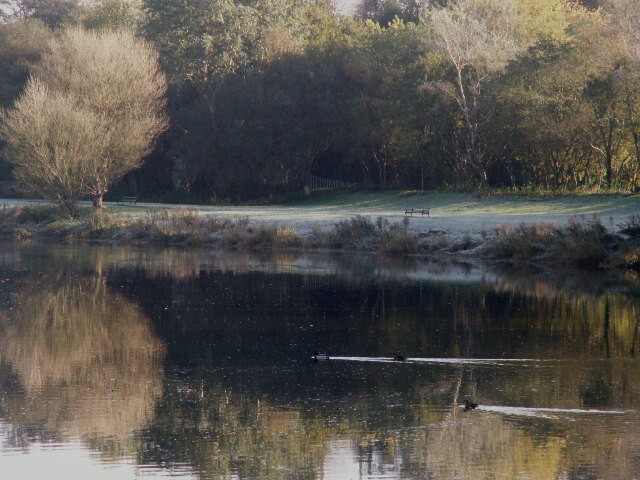 The paths surrounding the river are often full of people walking their dogs, parents cycling with their children, having nature walks in the nature reserve. I have cycled to work for 10 years from The Boulevard through to the two parks to where I work on the docks, and I see the same people commuting through the parks to get to work and school. What a lovely way to start and end the day. 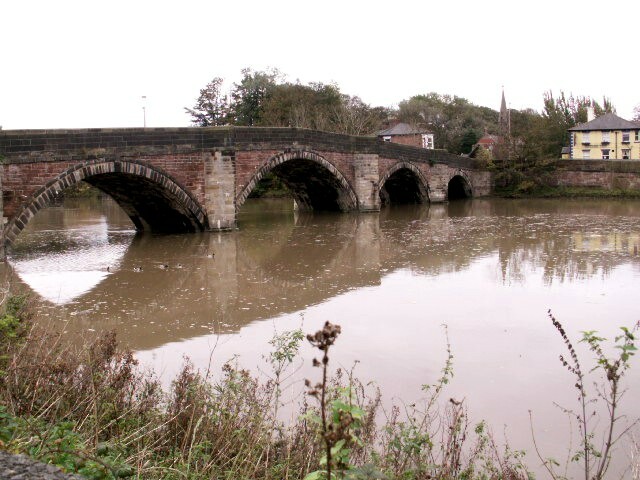 The Council really do need to get the rest of Preston sorted before they spoil the idyllic oasis of the river side. The town itself is a scruffy dump and the money the council have been allocated really could a lot more good making the town a pleasant one to be in! But there is really only one reason why the Council want to do this and that is to generate more money for them by bringing in more people to live and visit. But for the people of Preston it will mean more traffic, more crime, more rubbish, and higher council taxes. 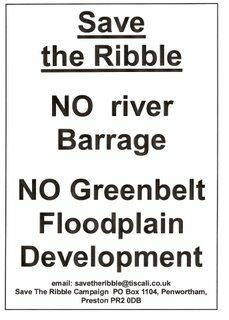 There will be nowhere pleasant for people to walk or cycle; local residents will be disturbed by the noise of water sports instead of the wildlife, no beautiful views across or up and down the river. So I want to know, does anyone know, how can we stop the council destroying something that belongs to the people?" 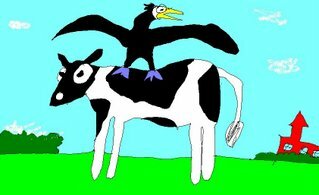 "I" has sent in another lovely drawing, and this one is his idea that the cormorants might like to dry their wings by riding on the cows opposite Avenham and Miller Parks! Thanks I & R!! 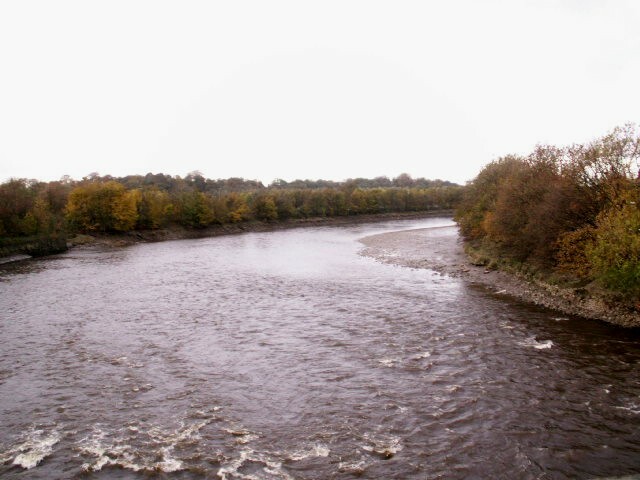 "Like you I am appalled to learn of the plans of PCC to totally vandalise the River Ribble. Having read a number of blogs on your site I concur with what they say. 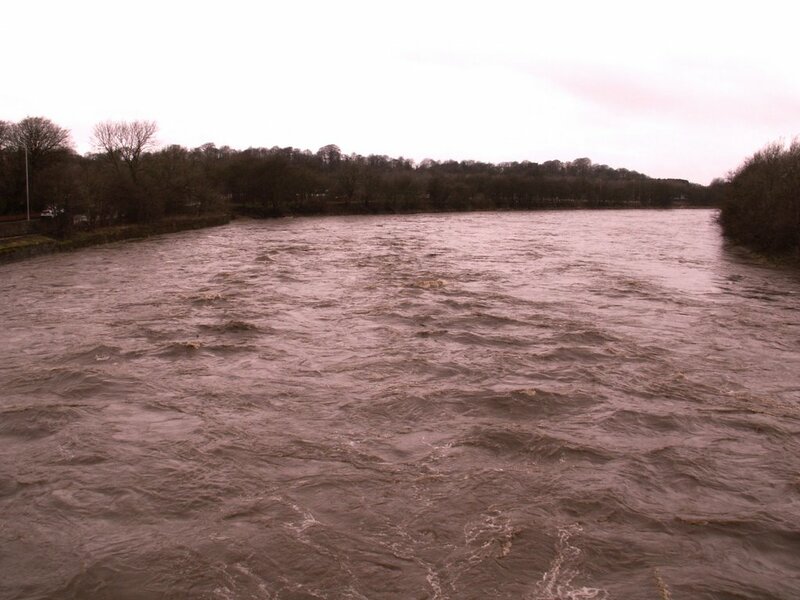 I remember in the 50's and 70's the river totally flooding that area. I recall in the mid 50's going to play rugby on the PGS playing fields down past the Shawes Arms and being unable to do so because the river had flooded some days previously and then had frozen. I recall when working at the Royal Mail mechanised sorting office then in West Cliff going down through Avenham Park and counting the species of birds I saw. 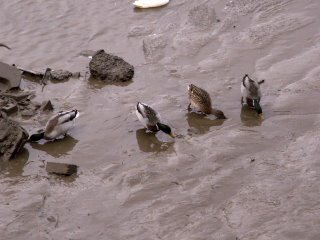 These were well in excess of the 17 birds in total which some so called "expert" claims." 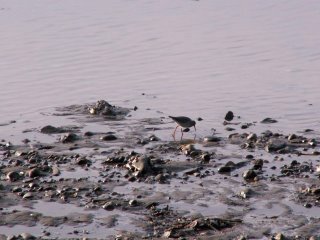 Mud, mud, glorious mud!! Mudflats on the Penwortham side are just as popular! 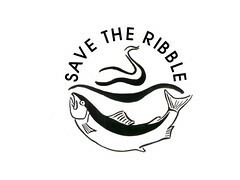 "hi I Live right next to the ribble and I really liked your blog about save the ribble. i especially liked the bit about the atlantic salmon. Very funny!" Eleanor B aged 11 and a half. Ribble during heavy rain... the brown colour of the water from the high levels of nutrient-rich silts washing down to replenish those glorious mudflats! A frosty morning in Penwortham. 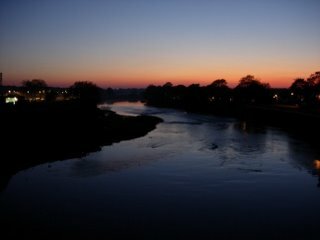 Click here and here and here for more Tales from the Riverbank and here for more of your Ribble photographs, and see loads more fabulous Ribble photos on the side-bar links. Keep sending in your photos and stories!